A superior twiddle...heavy but nice! This is just awesome, Bill. It's a Likey for me! This is colourful in a sort of colourful way. Spectacular twiddle, Bill. And I love that Otis Redding song, too. Bill Phillips: The song is a classic! Bill Phillips: Ho ho...I am very pleased to hear it Tony. Looks to be all action here. The twiddling has really given the guy on the right some fine hair. Otis Redding.. one of my favourites when I was a mere boy., thanks to Radio Caroline. Bill Phillips: Couldn't get Radio Caroline in Exeter! What can I say Bill - I just love Otis Redding! The twiddle takes out a lot of the unwanted details in the original Bill, yes it works very well. Bill Phillips: Dammit Sir, less of this subversive talk!! Another painting Bill..This treatment works well..I haven't tried this yet. Good one. painting suits the era of the music..
Bill Phillips: We had cameras in those days! I had Pentax SV. I love it Bill. Really good. I guess you were looking for the effect of a painting - and you've got that. And its full of colour. Not sure that I like it, but it is alive, whereas the untwiddled one shows the type of vessels in the dock but is very flat and dull. Lovely stuff Bill, think you should get a print done and send it to Anniedog and Blackdog.They can put it on the wall!!!!!!!!!!!!!!!. Bill Phillips: They would just love it! 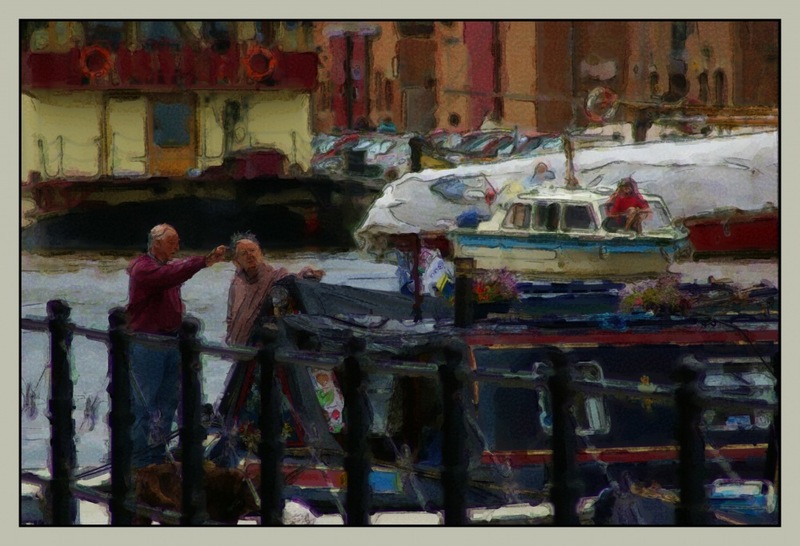 Bill Phillips: I have been playing with Corel Painter on and off and I will get it as I want it one day...maybe! It's a wonderful serie ! Thumbs up ! Bill Phillips: Glad you enjoyed it!